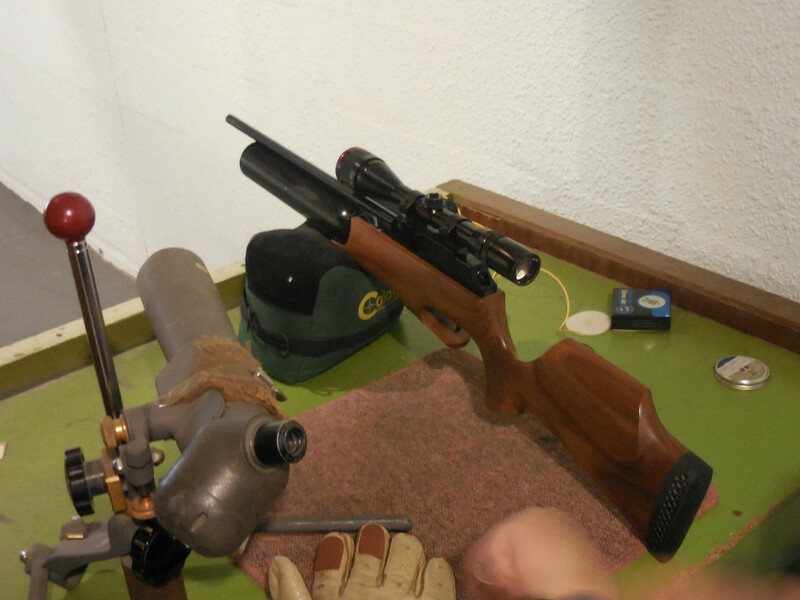 Last year, me and my dad attempted a Theoben Rapid S Repair, so we stripped and rebuilt his Theoben Rapid S air rifle. 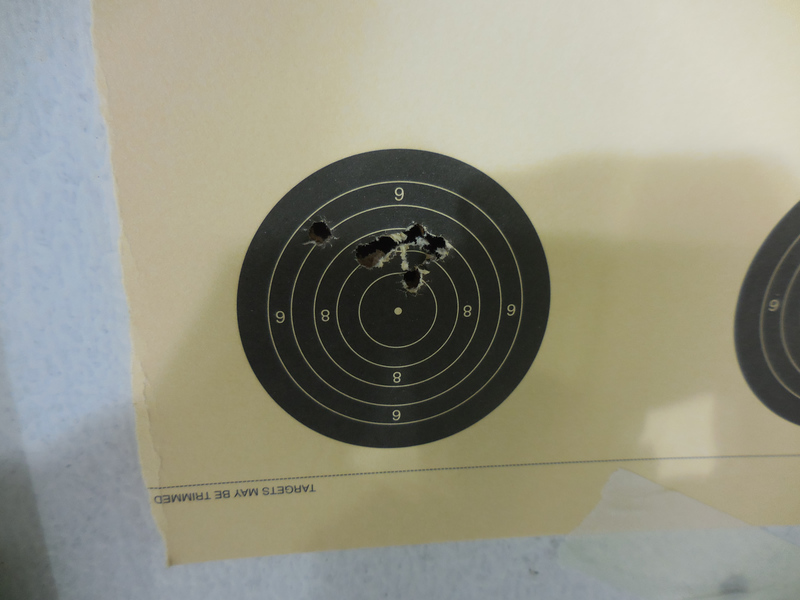 The results were okay, considering this was the first time we’d taken apart the rifle, however they weren’t breathtaking, nor did my father feel they were as good as the rifle had been. 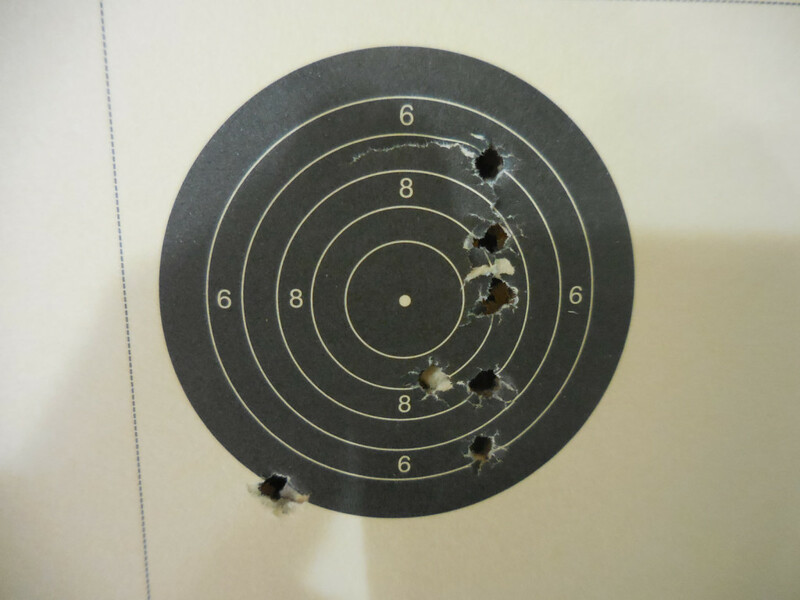 However over the next few weeks the accuracy of the air rifle deteriorated quite quickly. We didn’t know why as it had been freshly serviced, with all new seals. Perhaps it was the scope, so we tried a different scope that was known to be good. No better. Hmm, maybe the pellets. Nope, we tried weighing and sizing pellets but still no avail. My dad finally had enough and took it to ‘The Airgun Doctor’ in Staffordshire. The Airgun Doctor, took the rifle apart whilst dad was at the shop and inspected our work and the rifle. Unfortunately the brand new seals we bought off ebay had been somewhat “incompatible” with the grease (that was also supplied by the seller) or the metal of the rifle and had consequently broken down in a matter of months, probably weeks, since we fitted them. 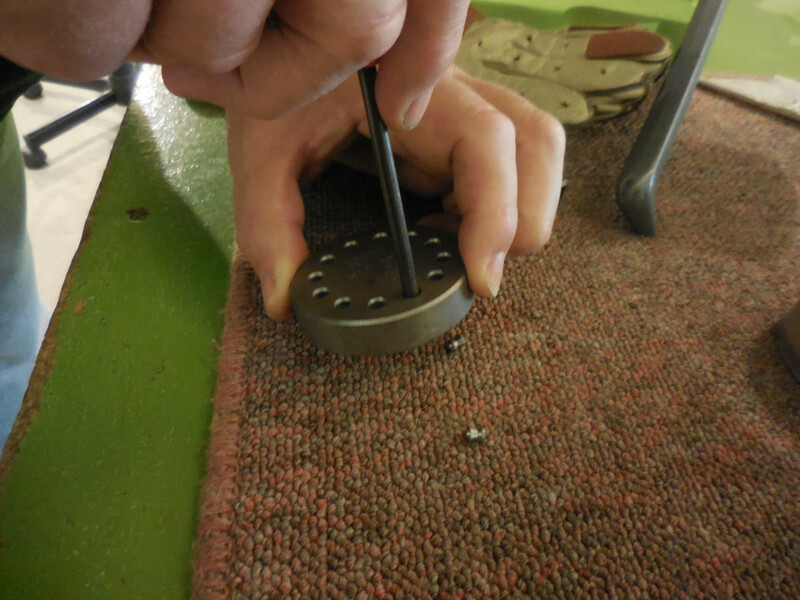 Needless to say it seemed like it was an obvious culprit, and one we may have seen if we had taken the rifle back apart and followed the Theoben Rapid S Repair guide we wrote last year. Doh! 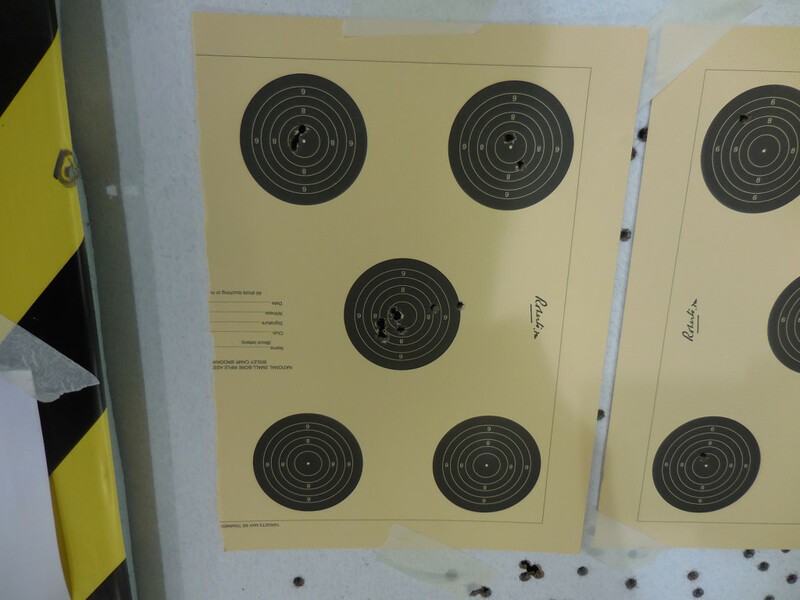 The rifle was checked on a chronograph to make sure it was under 12 ft/lbs (The UK legal limit for Airguns that are not on Section 1 FAC) and the pellets were consistent within 5fps of each other over a 10 shot test with weighed pellets. Note; When rebuilding a rifle, don’t skimp and buy the cheapest O rings available on ebay, find the genuine Theoben Spares and save money and heartache from having to do things twice. Learn from our mistakes. The next day (the next chance we had) me and dad popped down to Dudley Rifle Club to get in a little target time with the newly renovated Theoben Rapid Air Rifle and these were the results. Since this rifle had not been sighted, the first shot was on the edge of the centre diagram. This was consequently moved across and put shots in the centre but also a group to the left of it. We moved on to top left diagram and the vertical spread was not ideal, but left/right was okay. On the top right diagram 2 shots went into the same hole and one dropped low. We decided to move on to the 10spot card to the right, but only had 9 more weighed pellets from this batch to continue consistency. For reference. This card was shot by Ron Gough, rested as you can see from the top image. Ron Gough has held the top spot in the top division for Hendon Rifle Benchrest for the past 3 seasons (since Summer 2014). To drop shots into the 9 ring is occasional, at worst – to drop them into the 6/7 ring is unheard of. 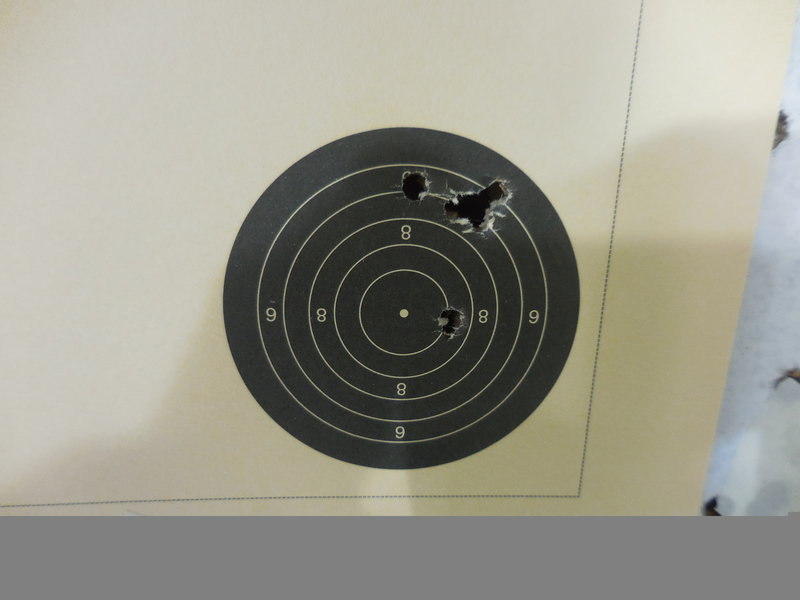 Nevertheless to give a fair test, we swapped roles and I jumped behind the rifle to put up some groups. 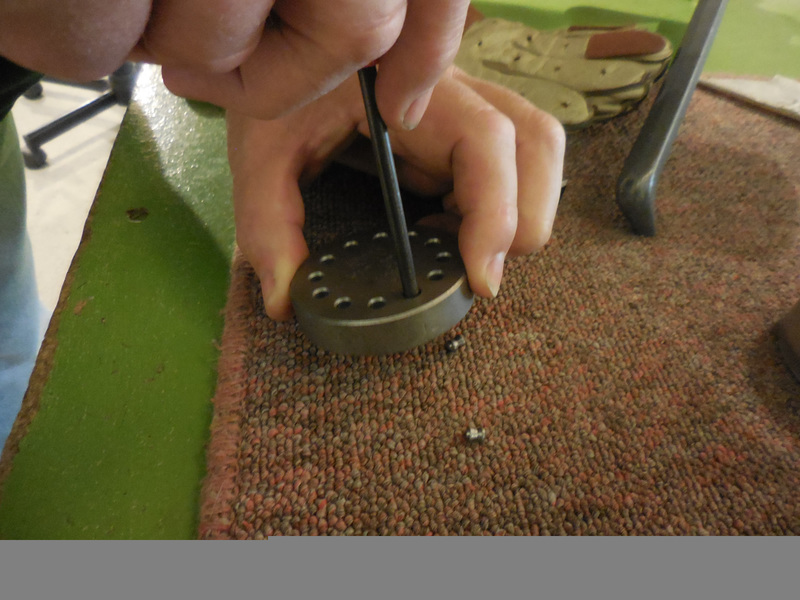 We also sized each pellet through a sizing die to give a much more consistent BC. To also alleviate any difference that loading from the magazine might make, we loaded one by one directly into the barrel. 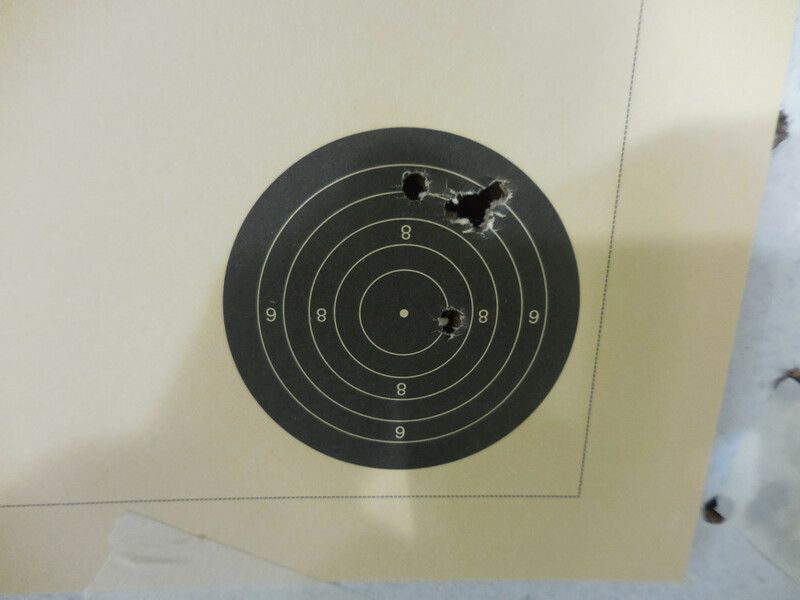 Here are the groups that I shot. Perhaps the most telling group was the last group. The vertical stringing is unmistakeable. We also heard a different between each shot. There is something causing an inconsistent air pressure through the rifle. Note: the pattern was made in no particular order, it did not go from top to bottom or bottom to top indicating a gradual loss of pressure, it was random. The difference in pressure also would not seem to account for the random ‘flyer’ shots thrown to the left. in the last diagram and evident in every other group. The shots felt consistent with good follow through and no apparent movement down the scope whilst watching the target. Following this test Dad mentioned that he will be contacting The Airgun Doctor yet again to see if he can help track down the inaccuracy that the rifle seems to be exhibiting. I’m intrigued. unfortunately my Borescope will not fit down the barrel to see if there is anything obvious to be spotted. I’m not sure what else it could be, especially considering the chronograph saw it showing ~5fps difference at most when tested at The Airgun Doctors premises. I wonder if that’s changed since it got home. Check back for more on the Theoben Rapid S Repairs, to see if we can eventually get it shooting as it once did. 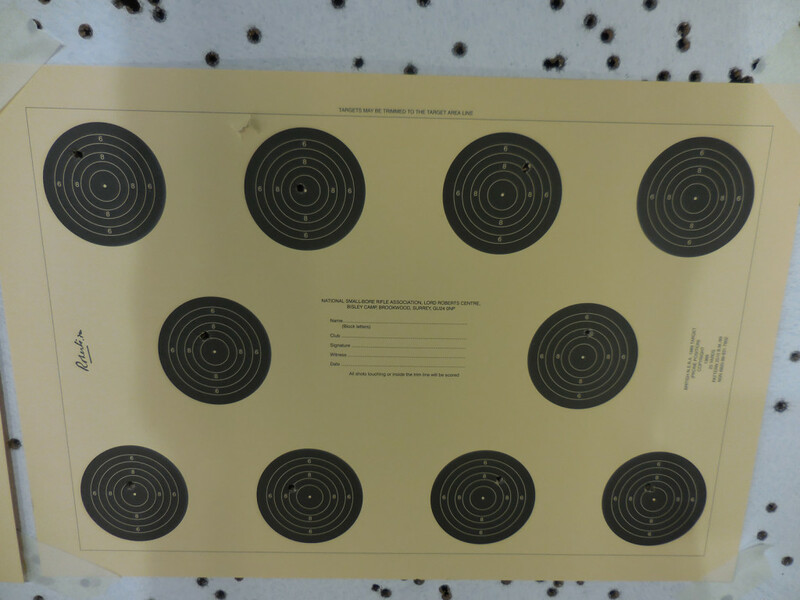 Which is better, Eley or Lapua 22lr?